While the world celebrated the rescue of 12 boys and their football coach who had been trapped in the Tham Luang cave for more than two weeks, tragedy has struck the life of an Australian doctor credited with playing a key role in the rescue. 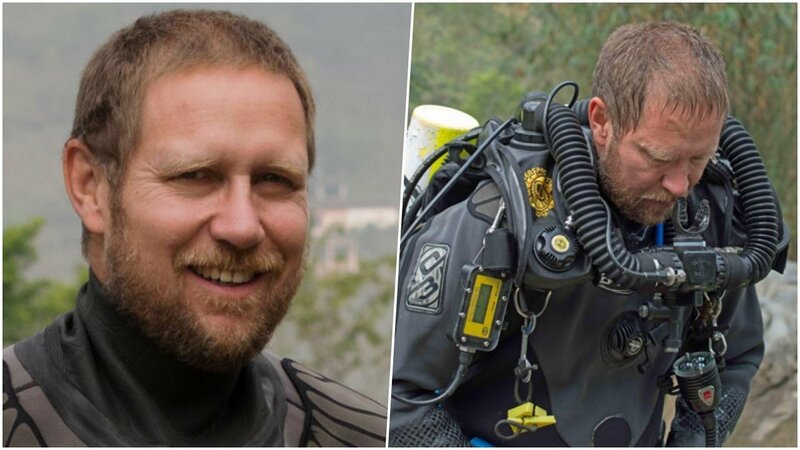 Dr Richard Harris, who is reportedly an anaesthetist, world renowned experienced cave diver and has worked for MedSTAR in South Australia for thirty years learned that his father had died shortly after completing the rescue mission in the cave. The death was confirmed by MedSTAR Director of Clinical Services Dr Andrew Pearce on Wednesday morning. “It is with great sadness that I confirm that Harry’s dad passed away last night a short time after the successful rescue operation in Thailand,” he said. “I have spoken with Harry. This is clearly a time of grief for the Harris family, magnified by the physical and emotional demands of being part of this week’s highly complex and ultimately successful rescue operation. Dr Pearce spoke of how proud he was of Dr Harris, who he said had endured a “tumultuous week with highs and lows”. “We are delighted that Harry and the boys are safe and that he was able to play such a remarkable role in the Australian response,” Dr Pearce said. Earlier it was reported that Dr Harris had played a key role in the extraction of the boys from inside the cave, determining which of the boys should be first to leave the cave. How tragic to be on a high after helping save the boys, then getting news his father has died. Well Dr Harris your father at least died happy knowing you had done a marvelous thing. Well done Dr. Richard Harris, our sincere thanks from Thailand along with deepest sympathies but I’m sure you’ll take some consolation from the fact, your Dad died as a justifiably, very proud man. A former South Australian and now resident of Chiang Mai. Very sad news, he risked his life and saved many only to learn that he lost a close family member whilst he was still in the cave. I nominate Dr Richard Harris as Australian of the year for the 26th January 2019. To be honest I don't understand why this news was made public. This is a private matter. make it official chock... don’t know how, but make it so. To my understanding Dr. Harris's father death was not sudden and he was already near the end of his life? If so then it reflects a thousand times more how selfless Dr. Harris was to choose to help others even though he could have chosen not to and stayed by his father's side. He chose to volunteer because he knew he could save lives. I hope he finds solace in the fact that he helped save 13 lives and that his father is now in a better place looking down at him even prouder of him then he was before.